What’s going on? It’s a busy week as we near the end of the semester, and a fun one! The first art show this week has to do with the amateurs in the area that have the opportunity to display their art, maybe you have a friend in the show? This would be a good event to share, local small artists have difficulty getting their name out, it would show compassion and love from all of us! Not stopping there, we have the critically acclaimed Boneyard Arts Festival! I’ve actually participated in this event, keep your eyes open for artwork made by local artists, both professional and amateur, in multiple venues! If you explore to the far reaches of Champaign County you can find art in places like St. Joseph or Mahomet, it’s quite the experience! This is such a great and definitely worth spending the time to go and explore both new areas and new art. “Presented annually every spring by 40 North | 88 West, the Boneyard Arts Festival is a four-day event showcasing the broad range of creative activity flourishing in our community. 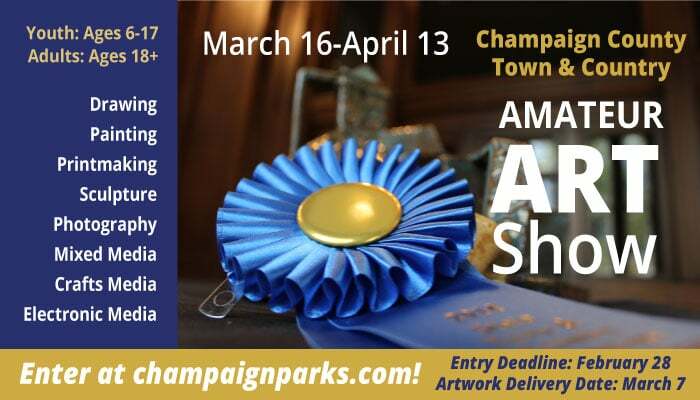 Its goal is to bring together local artists, businesses and organizations for a special event showcasing the art of Champaign County. More than a traditional arts walk, the Boneyard is a unique countywide celebration that takes place in a wide variety of venues (over 90!) — both traditional (theaters, cafes, galleries & museums) and non-traditional (salons & retail stores) — and features the work of literally hundreds of artists. Sculptors, weavers, painters, photographers and other visual artists join musicians, actors, dancers, poets and performers of all kinds in sharing their creativity throughout Champaign, Urbana, U of I Campus, Rantoul, Homer, Mahomet, St. Joseph and Sidney. The festival stimulates cultural, economic, social and educational growth by providing an opportunity for people of every age, background and interest to participate. Hey! It’s another famous country artists, this time it’s at… the same exact venue! The State Farm Center! It’s been over a decade plus four years since Kenny Chesney has performed in Champaign, so if you haven’t bought tickets, do so now! Participating in events that raise your cultural horizons is a wise idea, and the Makanfest is a great way to accomplish that goal! It’s a food festival, so this is definitely an exciting opportunity and would provide you with an ample distraction Saturday night. “The annual Singaporean food festival, Makanfest is coming up on 6 April 2019! We will be serving three main dishes, 1 dessert, and 1 drink. Each main dish will cost $3, the dessert will cost $2. It’s time for the TEDxUIUC 2019: Emerge and it’s taking place at Krannert! I have copied the ENTIRE information, so you can take a look at the speakers that they are bringing and find out what kind of opportunities are provided to you. Definitely a grand time to gain knowledge and learn about professionalism and great ideas! 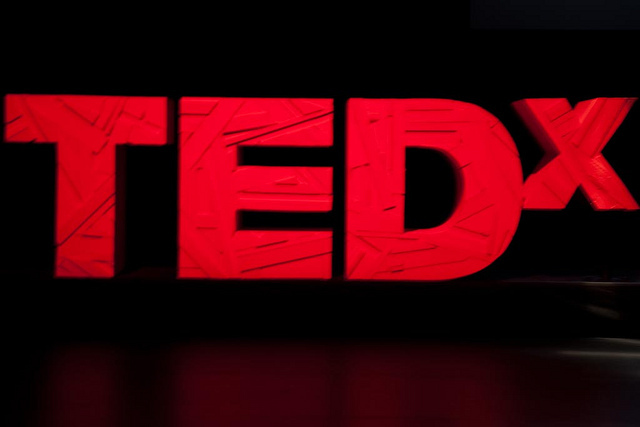 “Every year, TEDxUIUC hosts an event on the University of Illinois campus to bring together passionate thinkers in our community and inspire each other to learn and discuss “Ideas Worth Spreading”. This year, we would like to invite you to our main conference of the year, TEDxUIUC 2019: Emerge! Our theme this year aims to highlight the importance of standing out, changing perspective, and building off our successes and failures to pursue our passions. Whether it be developing emerging technology, revolutionizing the fashion industry, or even receiving an Olympic medal, our speakers embrace diverse ideals and share how they emerged through the many obstacles of life. Lee Adams: Lee Adams is a Washington DC native and Brooklyn based journalist and documentary filmmaker currently working with VICE as an on air correspondent and Creative Producer. He’s the host and producer of the VICE digital series ‘Minority Reports’ which has over 11 million views on Youtube, and will join the roster of correspondants on the VICELAND cable network live show called VICE Live. Before joining the digital arm of VICE, Adams was a producer of the VICELAND Emmy-nominated docu-series Weediquette and started his career in non-fiction media at National Geographic and NBC News. Katie Hoff: Katie is a current American Record holder in the 400m IM, 2 time Olympian (2004,2008), 3 time Olympic medalist, and former world record-holder. Throughout the years, Hoff earned USOC Sportswoman of the Year in 2005 and 2007. She also has 8 World Championship Gold Medals to her name from 2005, 2007, 2010 and 2011. Katie retired in 2014 after making a comeback for 2016 due to Pulmonary Embolism in her lungs. She is currently working and living in Chicago with her husband, Todd and French Bulldog, Ally. Dona Sarkar: Dona Sarkar is a software engineer that works as the chief #NinjaCat of the Insider Program at Microsoft, writing fiction and non-fiction, designing fashion, and coaching entrepreneurs in emerging markets. She was recently named one of Fast Company’s 100 Most Productive People. Majd Mashharawi: Majd Mashhawari is the 25-year-old CEO of GreenCake, a Gaza Strip-based startup that designs and manufacturers bricks made from recycled local materials. Jack Fusco: Jack Fusco is an astrophotographer whose work has been featured at the SpaceX Falcon 9 Launch with NASA, on BBC News, and with Forbes. Elizabeth Lombardo Dr. Elizabeth Lombardo has been a featured guest expert speaker all over the world. You may have seen her work on shows including the TODAY Show, Dr. Oz, The Steve Harvey Show or CNN or read her advice in Wall Street Journal, Forbes or Better Homes and Gardens, etc. Cole Bennett: is an American director and producer. He is known for creating music videos, mainly of the ″Hip Hop″ genre. He has gained popularity from his work with artists such as Lil Xan, Lil Pump, and Ski Mask The Slump God. Gaining his fame on Youtube, he now has over 3.2 million subscribers. Ananya Cleetus: Ananya Cleetus is the founder of Anenome and helped run Reflections|Projections, the largest student-run technology conference in the Midwest. She also developed my own low cost 3d-printed robotic prosthetic arm for leprosy victims in India, and has a day named after her in the city of Pittsburgh. Iman Crosson (Alphacat): Better known by his stage name Alphacat, Iman is an American actor, impressionist and YouTube personality and is known for his impersonations of former U.S. President Barack Obama and his starring role in independent film Along the Roadside. Evangelo Bousis: Evangelo Bousis is an image director and the co-founder of Dundas, a women’s fashion brand.